A group of three for the first place in the 8-days !! First, by far, Sinetairoi for the 3-days! The start of the 6th stage was given !! All set for the beginning of the 6th stage !! First day for the southern 3-days race !! 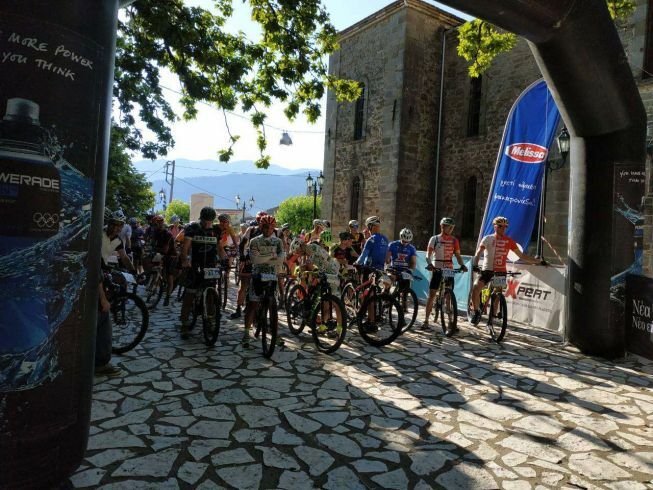 The teams of the Southern 3-days race have been presented, ready to set off! The presentation of the athletes of the Southern 3-days race was held in a cordial atmosphere and was completed with great success. BikeBoard are the winners of Stage 5!! Pedal Force One maintain the lead in the overall ranking! Pedal Force One still in the lead in the overall ranking! Α phenomenal battle is happening in the 5th stage!! From the first kilometers of today's route, in the graphic village of Krikello, two teams have already distinguished themselves, and are fighting for the leaders place. 5th stage, a unique race!! The 5ΤΗ stage is the shortest course of the race, and almost one-third of the average of the other stages of the event. All set for the start of the 5th stage !! !